goodies that he used, so here’s my take on the September tag. Stencils used; Schoolhouse, Measured, Honeycomb, Bubble and Rays. Distress Inks and Archival inks, Dream weaver embossing paste. 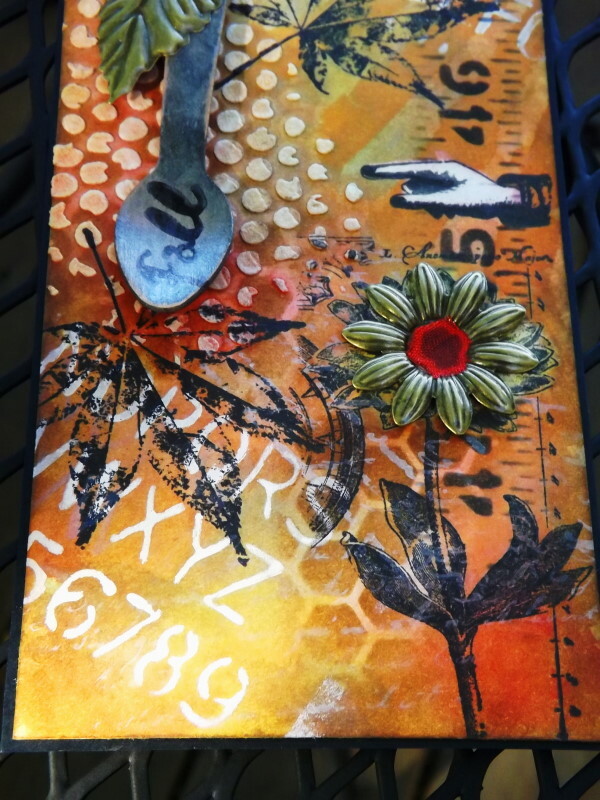 Stamps from La Blanche Stampin Up, and Hampton Arts. This is fabulous! Love the addition of the spoon and all those rich colours. 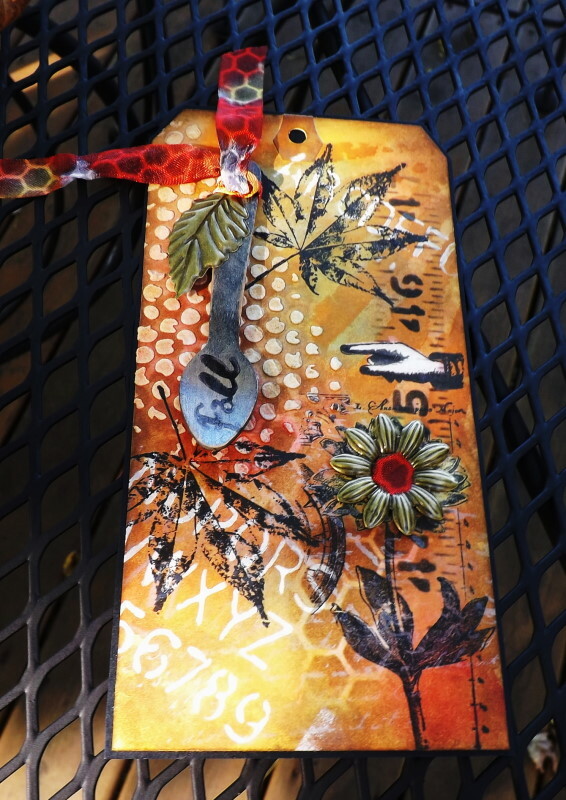 This is a beautiful Tag, it has strong vibrant colours, that bring the piece to life. 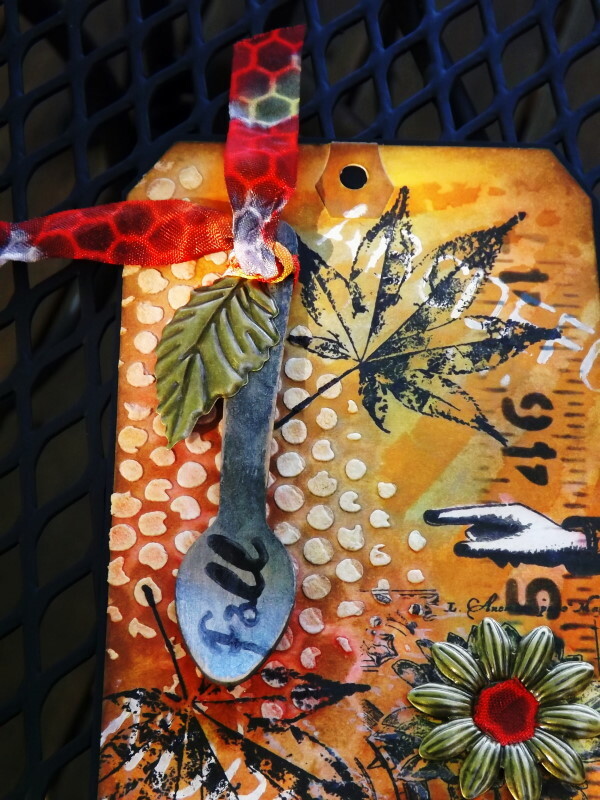 I love the texture and dimension you have added to create not just interest, but a tactile quality as well. GF, you need to link this up to Tim's September Tag challenge! Seriously, most of us don't have all his items. I used other stencils! Love this awesomeness and it really is just what the doctor ordered! Hugs! Awesome tag Vada. Love the vibrant fall colors.